Remember to trim the fat from the beef. 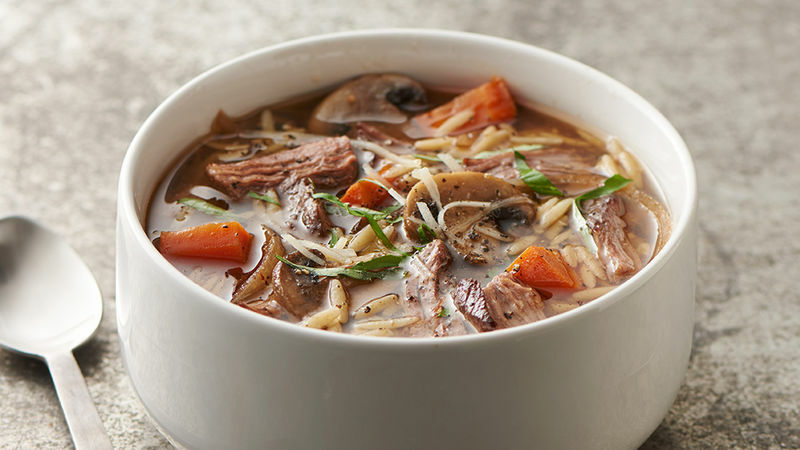 Some fat in the soup is fine, but large pieces of fat left on the outside of the beef will make the soup greasy. Want more fresh flavor? Stir in a couple of cups of fresh baby spinach leaves just before serving.